A very pretty nose of various red berry fruit scents is layered with earth and herbal tea nuances. There is good detail and as well as a lovely sense of energy to the medium weight flavors that conclude in a balanced, delicious and lingering finish. This is not super refined but it's certainly attractive and is fashioned in a forward style that will allow it to be enjoyed young if desired. Volnay is a small, exclusively red wine commune, located between Pommard to the north and Meursault to the south. 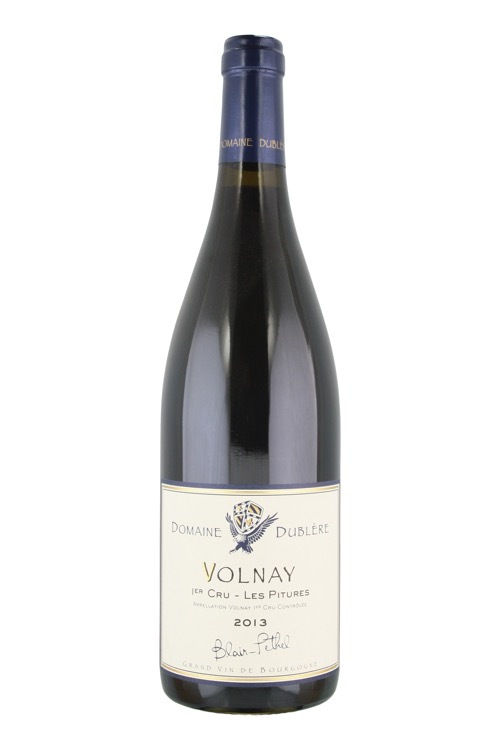 Volnay produces some of the most fragrant and sumptuous reds in the cote de Beaune, fit for the Celtic water deity, de Volen, for which the town is named. Interestingly, it was here in the 1930s, thanks to the current Marquis d’Angerville’s father falling out with local merchants - resulting in him having to bottle himself - that the trend of domaine bottling started in the region. In common with Pommard, Volnay has no grand crus, however with more than half of the vineyards classified premier cru (35 in total) and a complex geology, there are a wealth of rewarding wines to try. Confusingly, one of the most sought after wines actually comes from the adjoining vineyard - Les Santenots-du-Milieu – in Meursault, but because Meursault is known for its whites, it is bottled as Volnay Santenots. Within the village itself, the vineyards attaining the highest acclaim are located at the southern end, with Les Caillerets, Les Champans, and, directly up the hill above them, Clos de Chenes and Taillepieds. However the vineyards to the north also produce a variety of delightful wines. Marquis d’Angerville’s small monopole, Clos de Ducs, is an example in point. Meanwhile, those of Les Chanlins and Les Fremiets, abutting Pommard, seem to synthesize the delicacy of Volnay and the muscular nature of its neighboring commune.